Woo hoo, it's *Friday*... feel free to do a little dance now! As many good space geeks know, this isn't just any Friday. No sir. 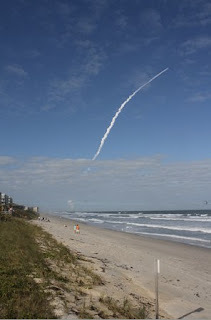 Because today was also the launch of STS-132 at 2:20pm EDT, which was the planned final launch of Space Shuttle Atlantis. 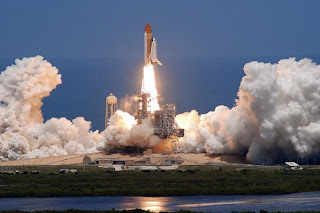 So this #FFD goes out to the heavy-lifting, Hubble-fixing, all around awesome Shuttle that is Atlantis. We want to collect pictures related to "Orbital Vehicle (OV) - 104" -- old school photos, mission patches, crews, launches/landings, etc. 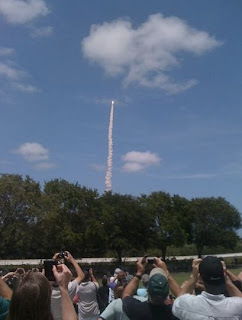 From @Snibble: The launch today of STS-132 -- it was perfect! And of course: Godspeed, Atlantis!